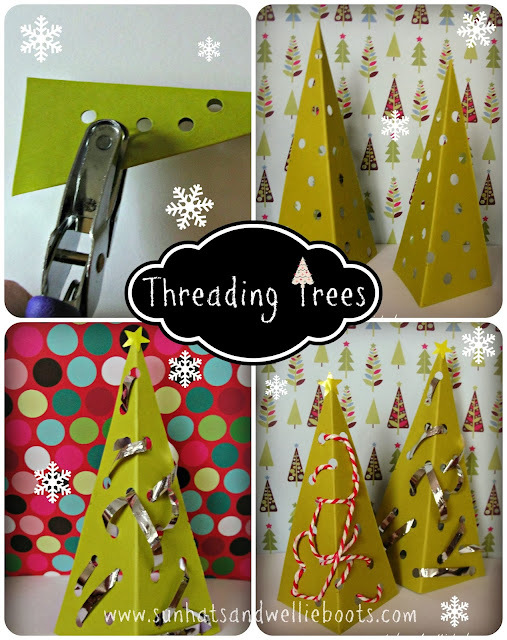 These threading trees make great little decorations & are super simple to make. 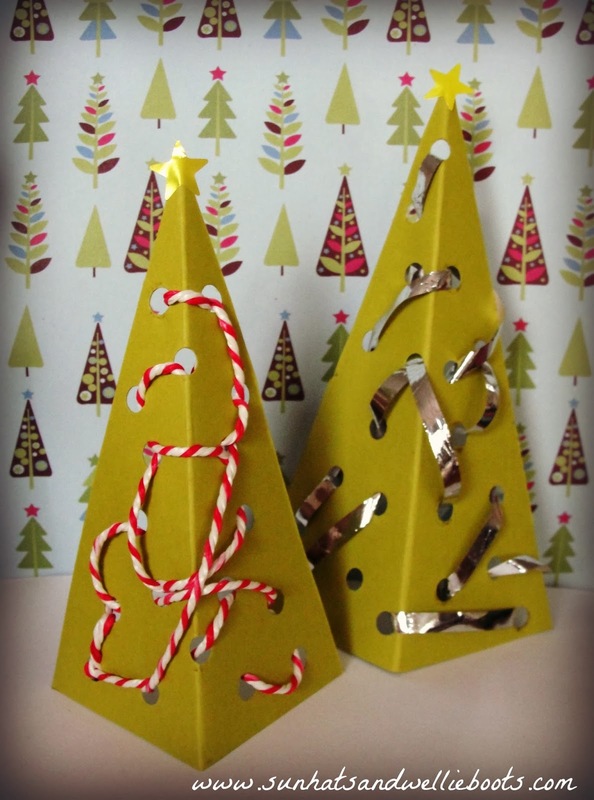 Plus they can be made from any leftover scraps of ribbon & recycled card. 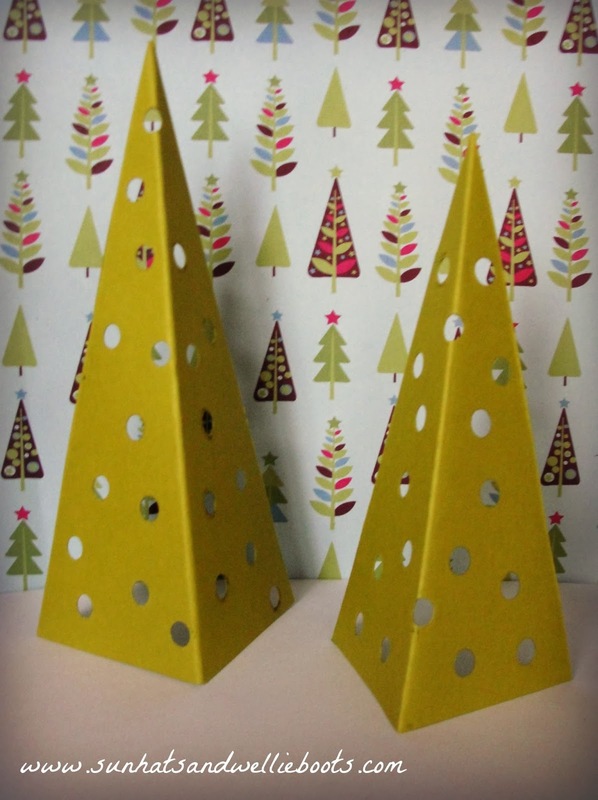 To create a simple Christmas tree shape we folded a scrap of card in half & cut it diagonally to make a triangle. 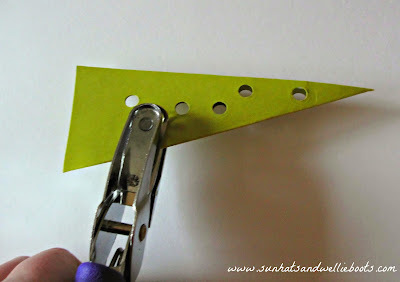 Then using a hole punch we punched holes randomly through the card. To decorate them Minnie wove the lengths of ribbon through the holes until she had completed her design. 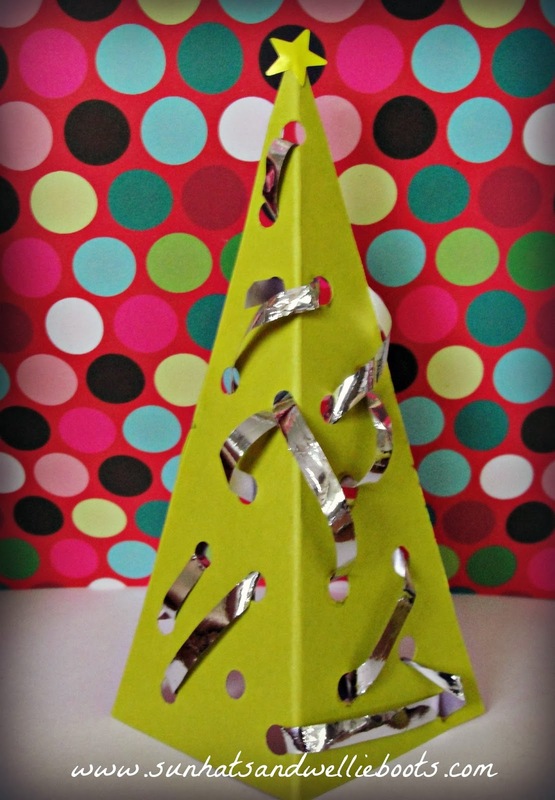 When complete we wove the end of the ribbon through several holes to secure, & attached a star sticker to the top. This is such simple seasonal activity to put together, & one which can help encourage hand-eye co-ordination, & fine motor skills. Add a little ribbon to the top of the trees & they'd make an extra cute gift tag to any present too.